A. Bagirov, N. Karmitsa, M.M. 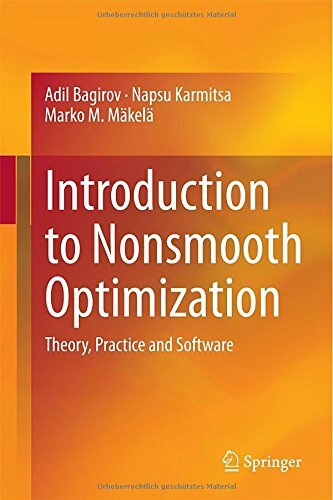 Mäkelä, "Introduction to Nonsmooth Optimization: Theory, Practice and Software." Springer, 2014. A. Bagirov, M. Gaudioso, N. Karmitsa, M.M. Mäkelä, (eds.) Numerical nonsmooth optimization, Springer, 2019. A. Bagirov, N. Karmitsa, S. Taheri, "Partitional clustering via nonsmooth optimization." Springer, 2019. A. Bagirov, K. Joki, N. Karmitsa, M.M. Mäkelä, S. Taheri, "Nonsmooth DC programming." 2019.